The Fort Lauderdale Real Estate market has certainly weathered a storm and has started to turn around. However, as we enter a new Fort Lauderdale Real Estate Market , a more balanced one, we will see a market where quality properties are recognized as such, the Cristelle, is just that type of building. Read more about the Cristelle in Fort Lauderdale, Florida. 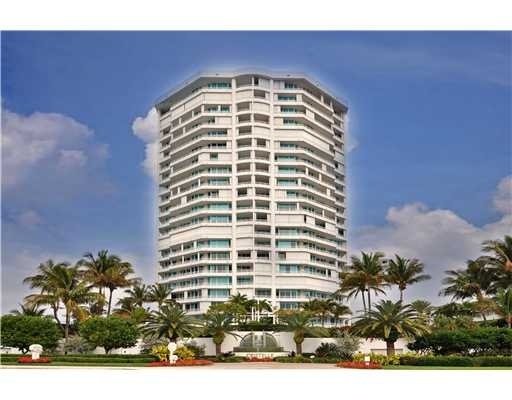 The Cristelle Condos, are located in Lauderdale by the Sea and one of the most saught after buildings on the ocean. The Cristelle Condos soar 22 stories over the gorgeous Atlantic Ocean, with 88 units. Cristelle Condos amenities include 300 feet of beach front, heated pool and spa, tennis, sauna, fitness center, semi-private elevators and pet friendly. At Eric Miller and Associates, "We're here to help" with your next Cristelle Condomium purchase or sale. Contact us directly at (954) 383-8170.